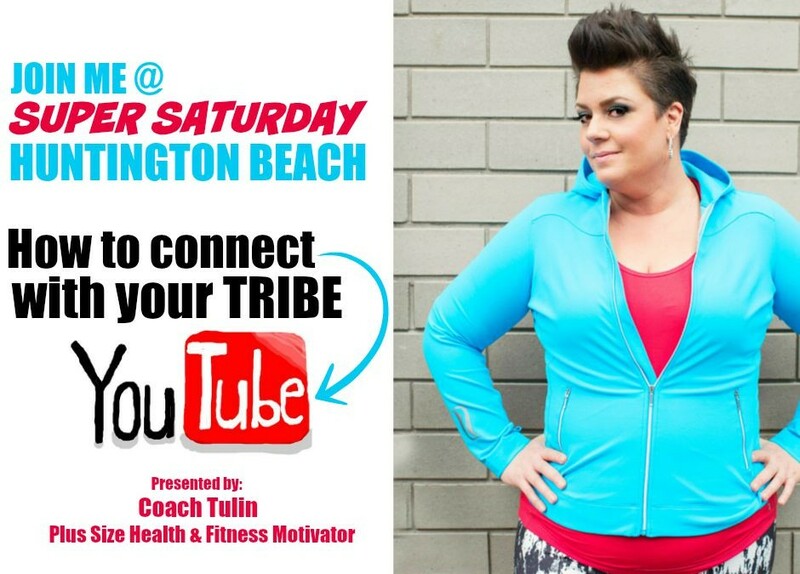 I had the honor to speak about my YouTUBE experience and teach how I built my tribe at Super Saturday in Huntington Beach, CA with Micheal Niemand, VP of Marketing at Beachbody. I am proudly a Plus Size Beachbody coach, and a Plus Size Health & Fitness Motivator. My purpose was to share how I have shared my journey, in a raw, honest, and transparent manner to offer examples on how to share your heart and use YouTUBE to get your message to those that are looking for someone like you. You become the voice to the thought in their head, and the answer to the question they are searching for on Google. Below are tips that correspond with the video above, including the last couple of tips I did not have time to get to as well as resources. ASK people to subscribe! Verbally in your videos, as text on your videos, even a subscribe button. You need to invite your viewers into your “home” by asking them to click on the subscribe button. Get fancy, provocative, or descriptive in your titles and description. Your video thumbnail should reflect the same. Have a call to action in your description. What do you want to invite your viewers to do after they watch your video? This is NOT the place to sell. Invite them to email you, or to a freemium, or social media outlet. Invite your viewers to personally connect with you. Use relevant hashtags that are also key words in your title and description. Be YOU! You are going to attract people who are just like you, or people who were like you a few moments ago as Chalene Johnson says. It isn’t about a big story or transformation, it is about talking, sharing, and showing parts of you and looking to connect with people who are looking for someone just like you! Perfection is over rated. People relate to the “real”. Don’t worry about being perfect, and I don’t recommend a script. Use bullet points instead. Unclutter your background, and find some natural light that hits your face. Ask yourself, if my viewers ran into me today, what would I look like? Be relateable. Talk to the camera like you are talking to a friend. Your video should be a solution to someones problem. What did you learn, what steps did you take, how did you over come? YouTUBE is one of the largest search engines AND powered by Google. People don’t know who you are, but they will when they find you, through searching for an answer to their problem, and find you because you provide a solution. Fear of judgement. Your social media outlet is YOUR house. People who post are a GUEST in your house. Feel free to delete/ban rude, inappropriate, or bullying comments on the rare occasions they happen. Jon Acuff, in “START. Punch Fear in the Face” calls it critiques math. 1 negative + 100,000 positives = 1 negative comment… if you CHOOSE to think of it that way. Make sure your “house” is reflective of your message. It is NOT about the NUMBER of followers you have, but the QUALITY of followers. They are your tribe. They want to hear from YOU! Remember, your tribe is YOU a few minutes ago. JUST DO IT! Go post a video! Something from your heart. Don’t over think it, be you, and you can’t go wrong.